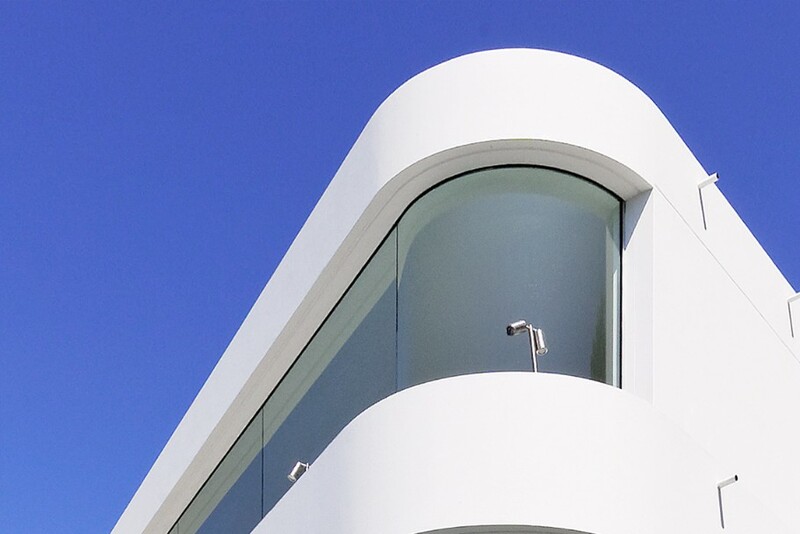 Rudolfsson Aliker Associates Architects have envisioned a steamlined, linear, modern design which is facilitated by the role of the feature curved glazing, reaching out to the ocean like the bow of a ship. 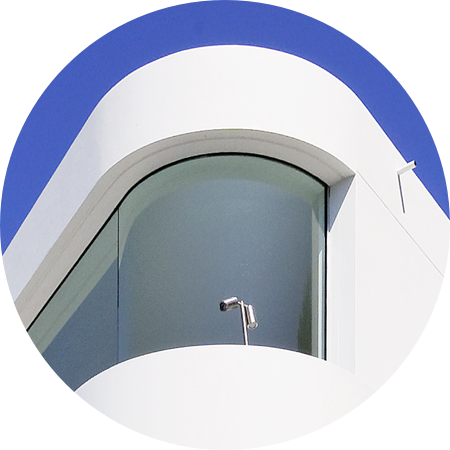 Bent and Curved Glass Pty Ltd worked with the fabrication installation contractor, Instyle Glass and Aluminium, to produce and successfully integrate the oversize curved glass panels within the seamless architectural detailing. This project highlights the unique ability of glass, out of all the available building materials, to deliver spectacular views from within a living zone, while maintaining protection from the elements. 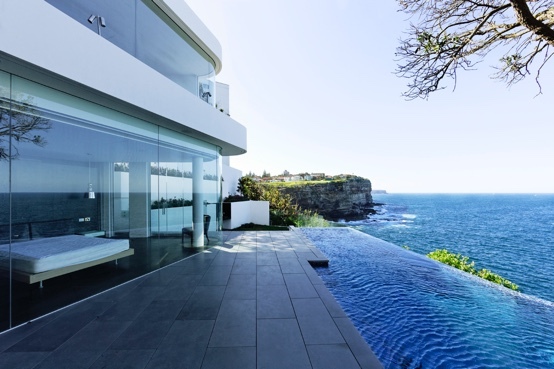 In this case the coastal winds prevalent on the seaside cliffs to one edge of this property just north of Dover Heights, in Sydney’s Eastern suburbs. 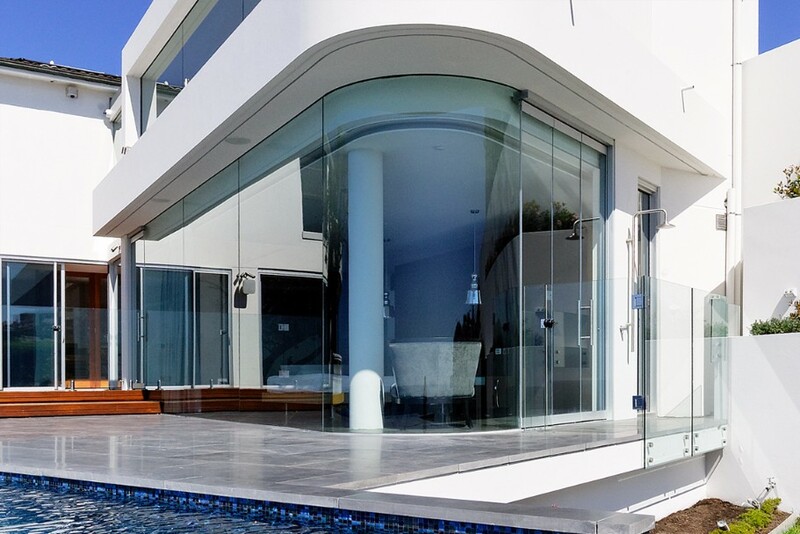 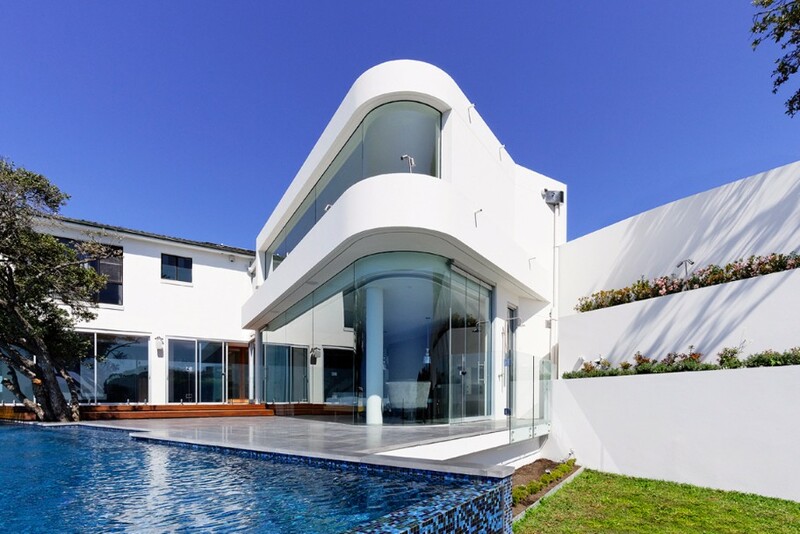 Curved laminated glass manufactured by BCG has the added benefit of allowing the glazing to wrap around seamlessly and smoothly to enclose the generous living spaces over 2 levels with no restriction of the visual connection to the outside environment.